A week of vibrant cultural discovery and a Jewish humanitarian effort with a special US State Department licensing for our mission to depart/return via Miami. 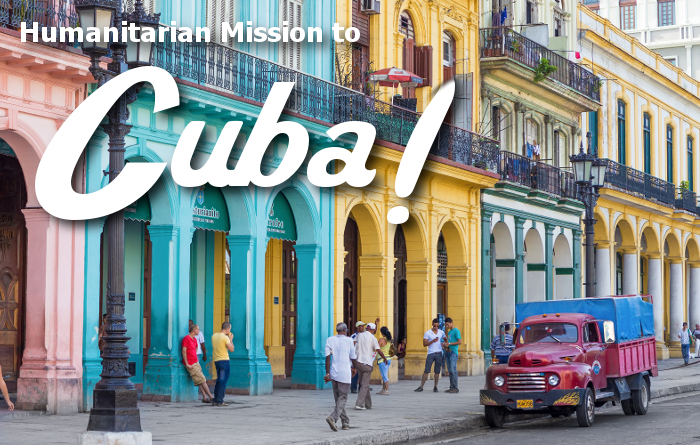 Experience Cuba with all your senses amidst a mixed, vibrant and vital culture locked in time. Step back to 1959 and see the cars, smell the unique foods, hear incredible music and sway to the sounds of Cuba! Visit the communities of Havana, Santa Clara, Sancti Spiritus and more… Experience their unique joie de vivre. Learn how people have managed to survive amidst Communism. Visit with Cubans and see their culture, art and Latin flare! We’ll share Shabbat with them, dine with their leaders and hear their rich stories going back 500 years to Columbus, strangely absent of anti-Semitism and with a commitment to their country. …AND SO MUCH MORE!